As working women, we understand how difficult it can be to fit everyday activities into our schedules. We’re way too busy for leisurely activities such as shopping, but does that really mean we should miss out? After all, every woman wants (and deserves) to look and feel fabulous in her clothes! We should all be able to stay on top of the latest trends and update our wardrobes whether it be for in the office or play. So, what are our options when there’s no time to peruse endless racks at the mall, camp out at the next trending sample sale, or spend a few hours scrolling through your favorite online shop? You turn to the next alternative, and that’s shopping right at home with your own personal Stylist (and a few of your best girlfriends, of course!). Yes, you read that right. Think you can’t afford a personal Stylist—what if I said you could get one for free? Yes, you read that right. Maybe you’ve never heard of cabi before: Cabi is the solution to the frustration and inconvenience of shopping. 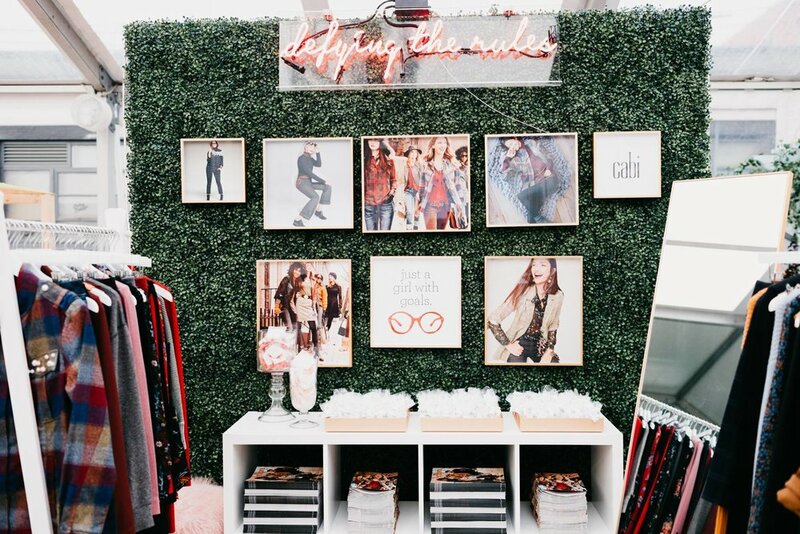 It offers a unique “pop-up boutique” shopping experience in the comfort of the home, where a cabi Stylist provides personalized styling, and presents a designer collection to you and your friends. Your Stylist will curate looks for you based on your lifestyle, help ensure you get just the right fit, and show you what works and doesn’t work for your body shape. The result? A fun, stress-free shopping experience surrounded by friends, with a trusted Stylist guiding your choices. So, what’s a girl to do when she needs a new blazer for work? Find a cabi stylist near you, and get your office attire on point. At a cabi Fashion Experience, a Stylist presents the seasonal cabi collection (usually 80-100 pieces in a varied size range), sharing educational fashion and styling tips all along the way. After the presentation, you can try on the clothes, while the Stylist works with you on fit and helps put together looks based on your needs—this part of the experience is personal to you! And of course, no shopping experience is complete without the trusted fashion advice of your girlfriends—as you all try on your favorite pieces, you’re able to share thoughts on each other’s selections and to encourage each other to step out of your comfort zones. Becoming a cabi Stylist yourself might be something to consider, too! Maybe you’re looking to work remotely or pick up a side hustle for some extra cash, or maybe you’ve recently suffered a job loss, want to get involved in fashion, or need a little bit of a creative outlet. Whatever your situation—cabi offers a simple business model that balances the realities of a busy woman’s life, while having very real earning potential, building relationships, and serving other women through her business working as a fashion Stylist. Cabi has created thousands of opportunities for women to have a relevant, liberating and profitable career. You can find out more information on how to become a cabi Stylist yourself here. How to dress for your shape: A huge part of nailing down the best work wardrobe for you is to dress for your body type. Determine if your shape is triangle, rectangle, diamond, hourglass, pear, etc. You can find a full breakdown on dressing for your shape here. The perfect fall color palette: According to the styling experts at Cabi, there are three colors that should be on your radar this fall: red, gold, and currant. The shades are all perfect for the changing season and are complementary to one another. Day-to-Night looks: Find some multi-functional pieces that can be worn from from day to night. A lot of us working women have a busy schedule outside of the office too, and that involves a lot of after-work plans. Rather than stressing over an outfit change, find pieces that can work for plenty of different occasions. The perfect example would be a jacket that works well with a dress but also just as well with a pair of jeans. Rather than experiencing another shopping nightmare, shop the cabi way!